For Crown & Kingdom - Excellent condition. 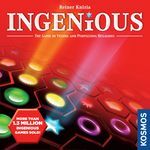 Ingenious - FFG English red box edition 2012. Excellent condition.